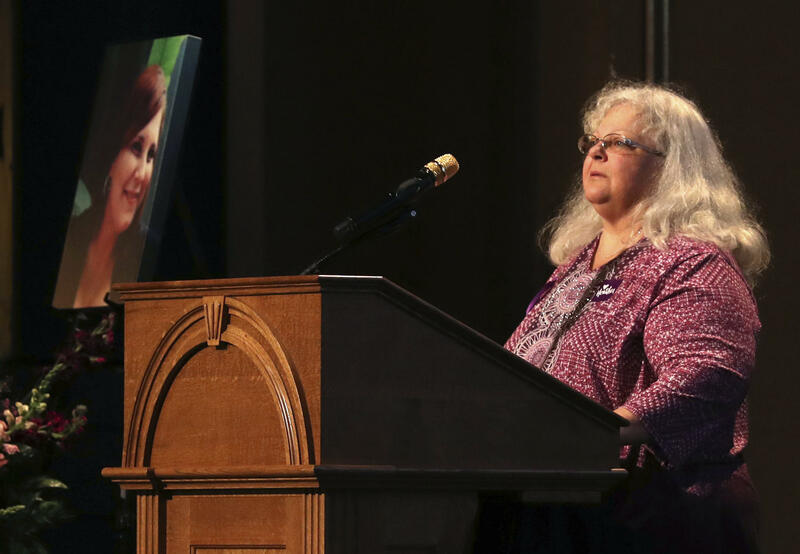 The mother of Heather Heyer, who was killed in a terror attack in Charlottesville last Saturday, says she is refusing to speak to President Trump after hearing him equate protesters with white supremacists. In an interview on ABC's "Good Morning America" on Friday, Susan Bro, Heyer's mother, was asked if she's spoken to the president directly yet. "I have not, and now I will not," Bro said. Bro said that at first, she missed calls from Mr. Trump because he called during her daughter's funeral. "I didn't know why that would have been on Wednesday," she said. She then said she hadn't watched the news until Thursday night. Trump on Charlottesville: "There's blame on both sides"
"I'm not talking to the president now. I'm sorry. After what he said about my child...it's not that I saw somebody else's tweets about him. I saw an actual clip of him at a press conference equating the protesters like Ms. Heyer with the KKK and white supremacists." "You can't wash this one away by shaking my hand and saying, 'I'm sorry,'" she said. "I'm not forgiving for that." Heyer, 32, was killed Saturday when a car plowed into a group of protesters. James A. Fields Jr., 20, of Maumee, Ohio, was taken into custody and charged with one count of second-degree murder, three counts of malicious wounding and one count of hit-and-run. At his press conference Tuesday, the president said that he heard that Heyer was "actually, an incredible young woman" and said "her mother, on Twitter, thanked me for what I said." Mr. Trump also said that "you had some fine people" in Charlottesville, referring to both the people protesting the taking down of the statue of Robert E. Lee and people protesting the white supremacists.